Homefront Revolution had more details revealed at Gamescom 2015 in Germany, and it will bring open-world gameplay, similar to GTA 5 and Far Cry 4, with first-person action. The game is following the original Homefront and reaches the second quarter of 2016 for PS4, Xbox One and PC. Homefront Revolution shows the saga of guerrillas of the United States, trying to retake their country from the hands of North Korea, which in this fictional world took power in America and formed a new nation on site. 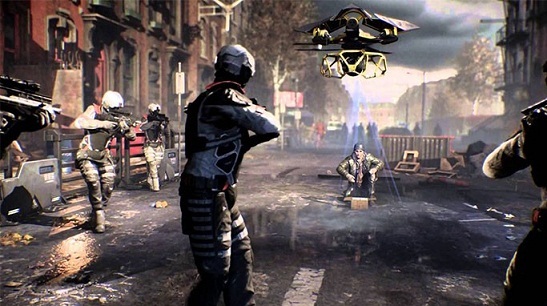 The first-person shooter gameplay is the central element of the plot, but the open world should dictate the rules of how the game evolves, according to what was seen in the trailer, with several missions along the way - which should differ enough from the main story. Revolution will have many elements ranging gameplay, as flyable vehicles and creative weapons. The game will have a beta testing phase soon, although no date revealed first on Xbox One, and then for the other devices.